A Snapshot is the exact copy of the original contents and configurations that is the easiest and cheapest way to create and deploy it on the additional domain controller. 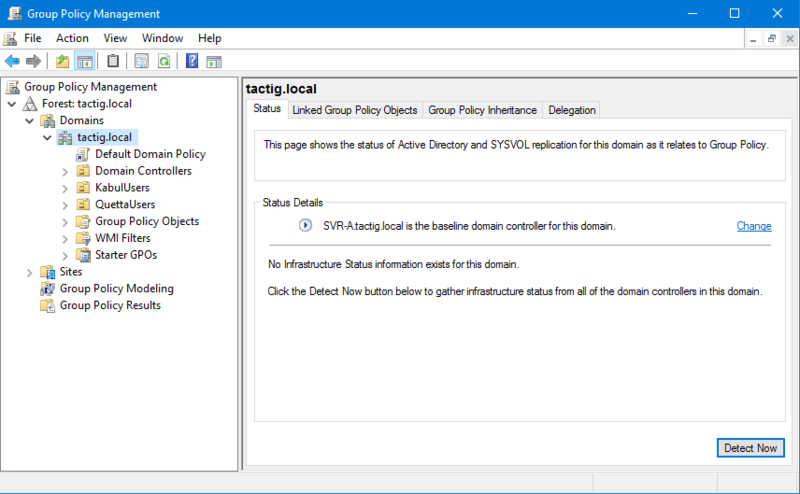 Like you can take a snapshot of Active Directory Domain Services (AD DS) and you use the snapshot for occasional usages like deploying on an additional domain controller, not like often tasks like backup. 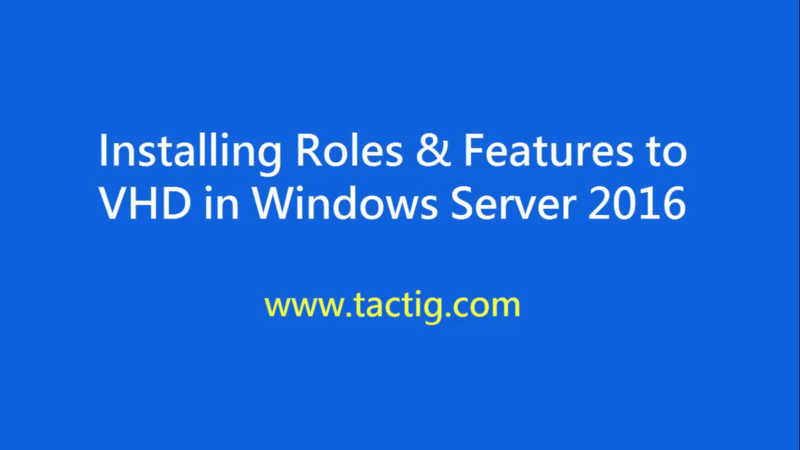 In this article, I will take a snapshot of my root domain controller (DC), which is the first domain controller of my active directory. Then, I will deploy the snapshot on the additional (DC). Snapshot is used for adding additional DC in remote sites, not in Local Area Networks (LAN). 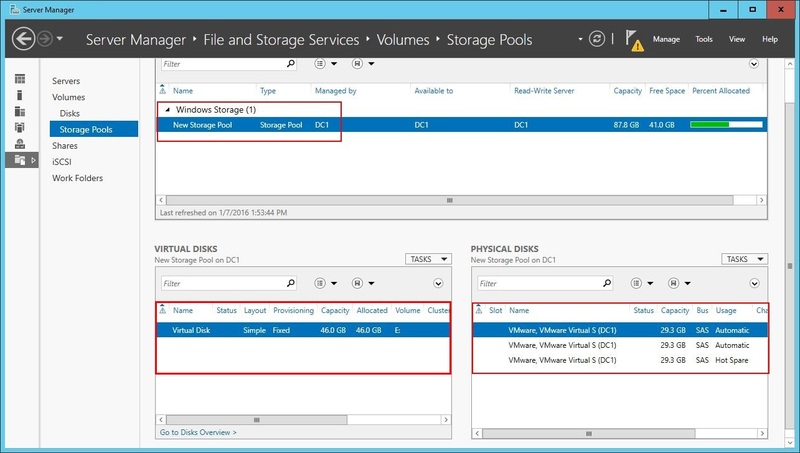 When you create a snapshot from active directory and save the files to a DVD or flash memory, then deploy it on the remote site on the new domain controller then you’ll have the exact contents and configurations on the new DC. 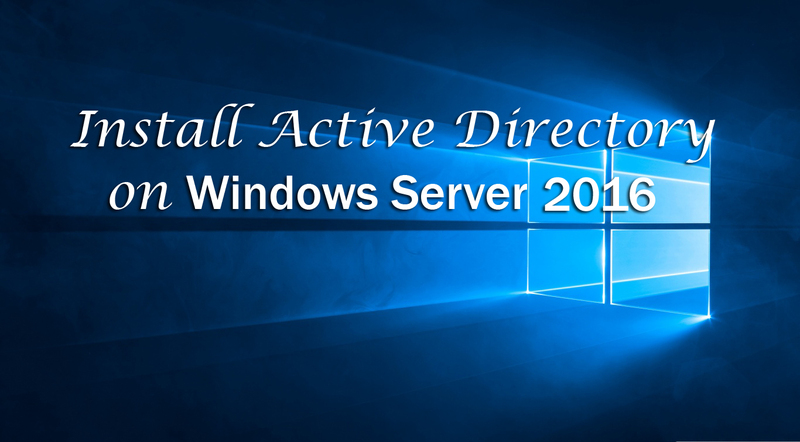 So here first we will create then deploy Active Directory snapshots in Windows Server 2016. Remember: This is the second part of adding an additional domain controller to existing domain, if you haven’t read that article, you ought to read that first. Click on the link below for reading the previous part, then continue reading this article. Before getting started, make sure both, the current DC and additional DC needs to be the member of the same domain and both of them should be active or approached by you. So that you can take a snapshot from current DC and deploy it on the new DC. 1. Right-click on PowerShell icon and choose Run as administrator option due to run the PowerShell with administrative privileges. 2. 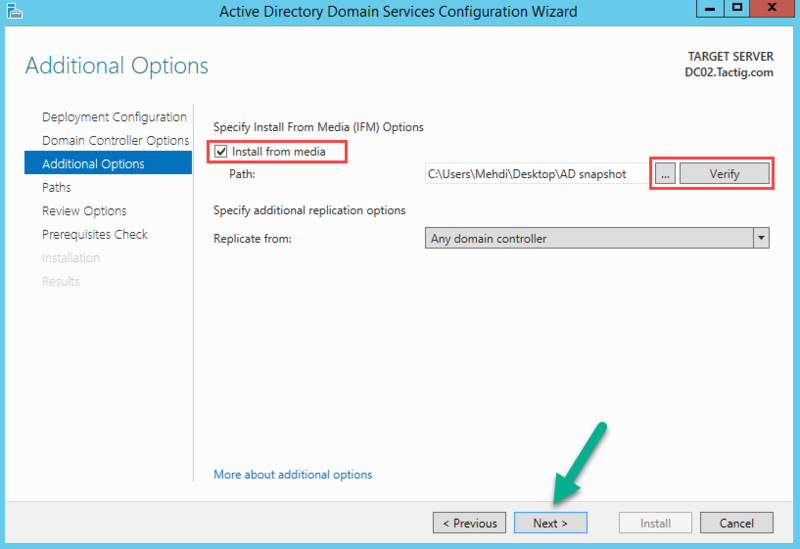 Launch PowerShell as administrator and create the IFM (Install From Media) media. This media is a snapshot of AD DS. Now Run the ntdsutil.exe cmdlet to run the program, therefore, type ntdsutil.exe and press Enter key. 3. Type activate instance ntds, because it focuses the program on the installed AD DS instance. 4. Type ifm to create the IFM (Install From Image) media. 5. Now you should decide you want full snapshot or not, to create a full snapshot type: create sysvol full c:\snapshot. The C:\snapshot is the path where I save the files, the program creates a folder by the name snapshot in the C:\ drive. 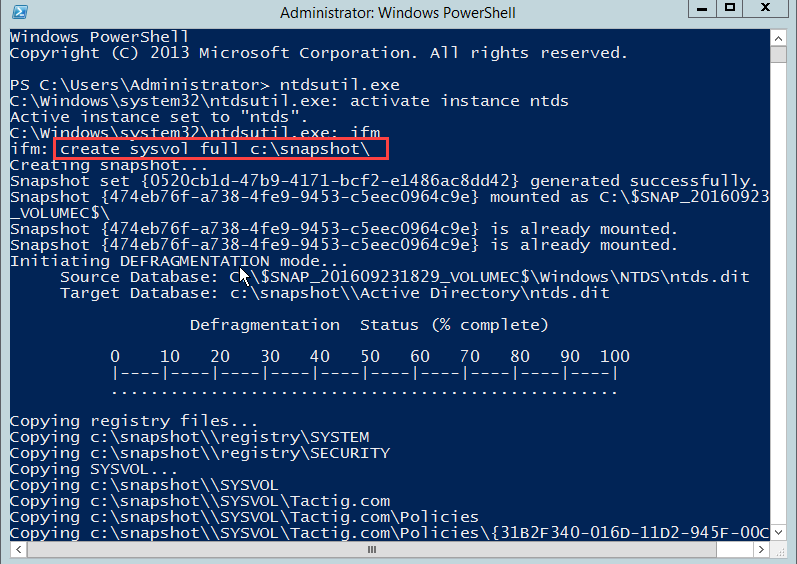 When snapshot process completed, close the PowerShell window. Finally the snapshot is ready to be deployed on the next domain controller. So, we will move to the new server and continue our deploying there. 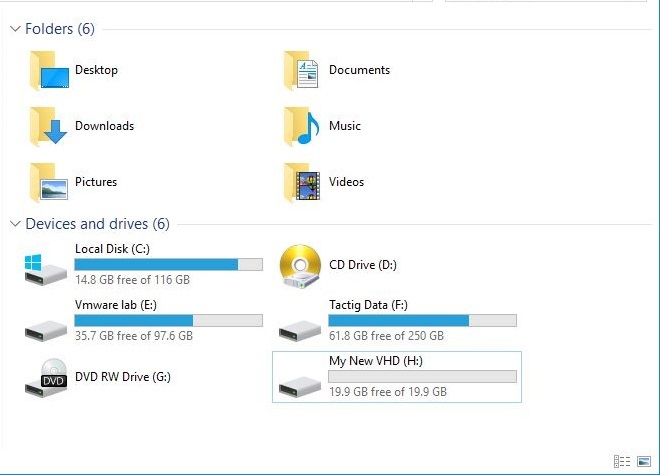 I’ve copied the files in a flash memory due to making the deployment easy then paste the files on the new DC’s desktop to use later. It is the time to turn on the new machine and get it ready to be promoted to new domain controller. 2. 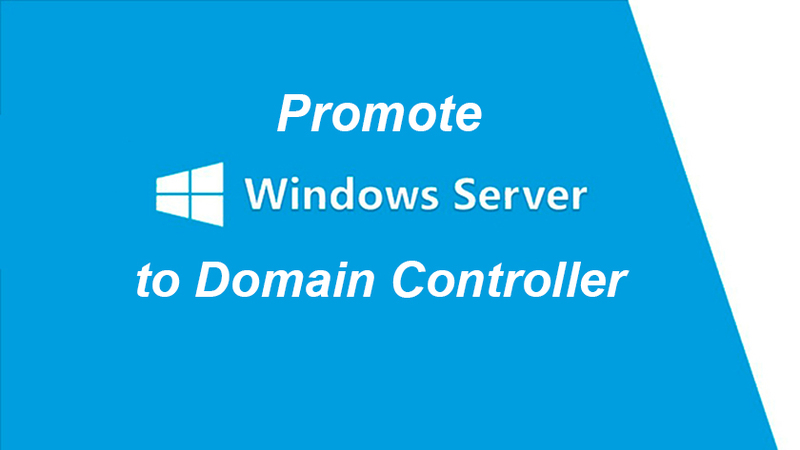 When the installation finished, click on Promote this server to a domain controller hyperlink. Or maybe you’ve closed the window and you don’t see the window containing hyperlink, don’t worry. Click on the flag on the top of the window, you can see the hyperlink. 3. 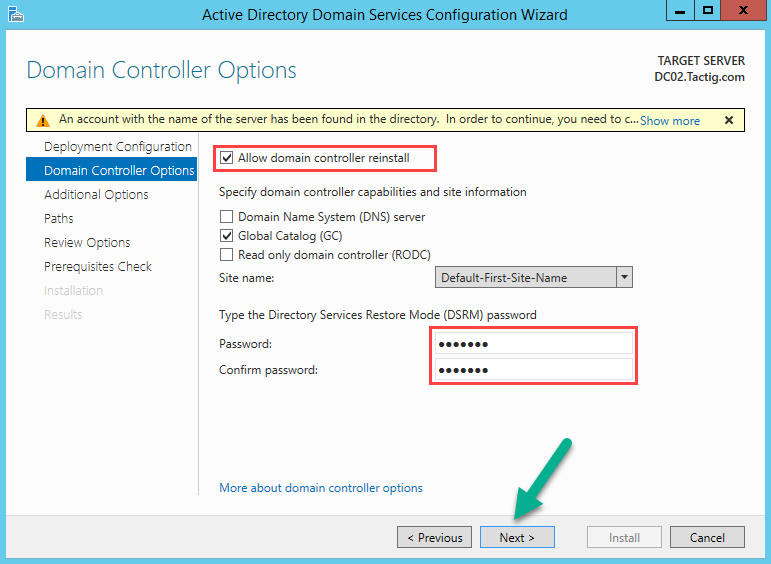 Select Add domain controller to existing domain option. 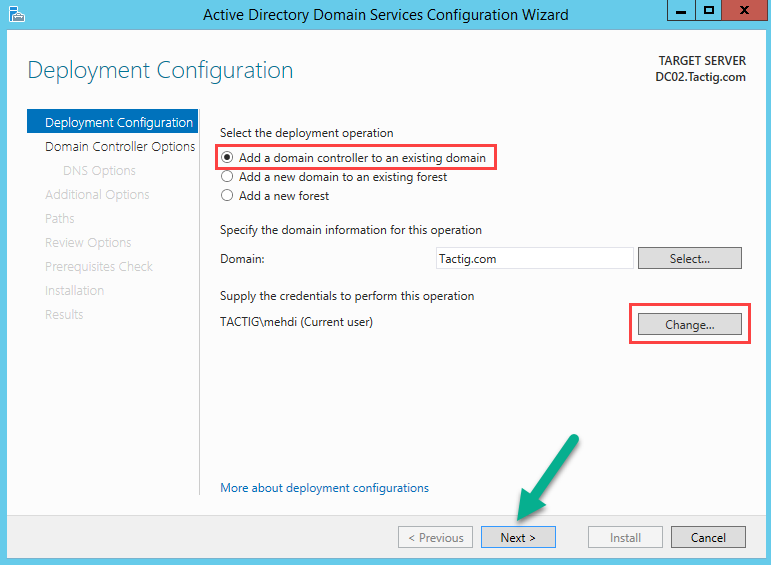 This option means that we have a domain and we just want to add an additional domain controller in the domain. Be sure that you’ve logged on by a user name who have the right to do these tasks then hit Next. 5. All options are disabled yet. 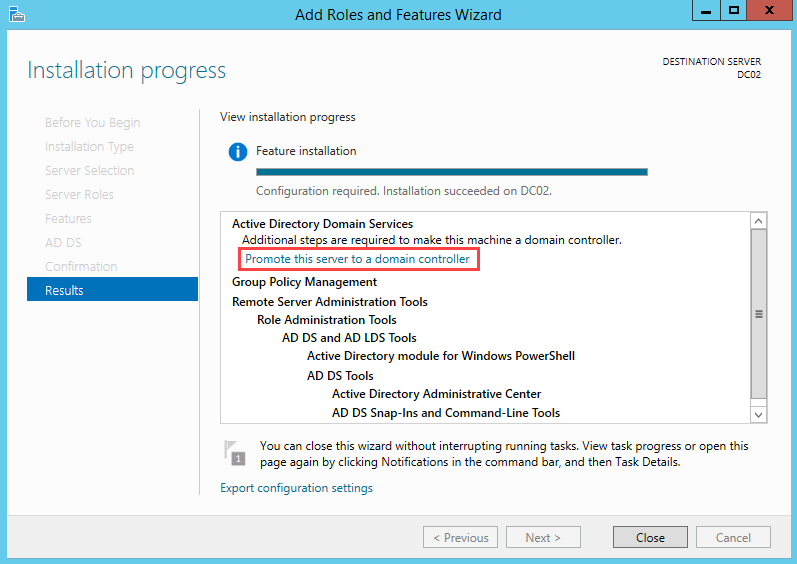 Click on Allow domain controller reinstall to permit the domain controller, to be reinstalled on the new machine. Then enter a DSRM password then hit Next. 6. Select Install from media option to be enabled to use your AD DS snapshot. Then click on three dotted button, find the media path that you’ve the snapshot inside. Verify the IFM media by clicking on Verify button then hit Next. 7. In the Paths and Review options pages we have nothing to do, so just click on Next button. 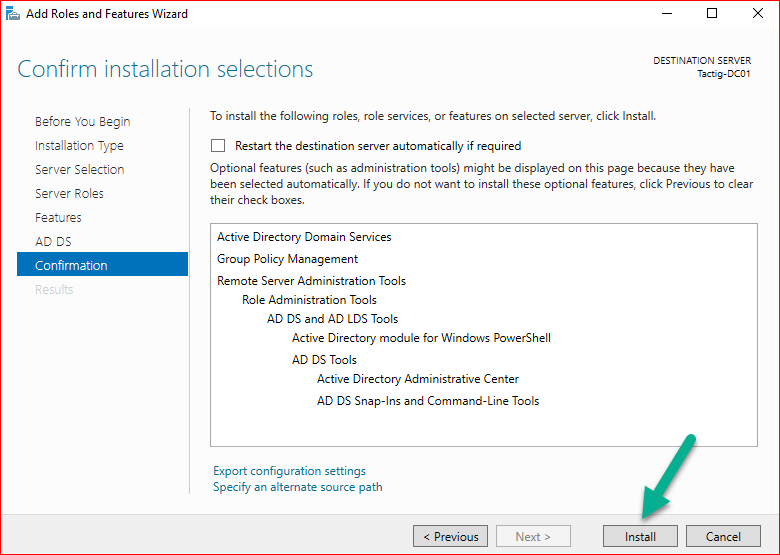 In the Prerequisites Check page click on Install button to install the domain controller. When domain controller installed, the machine will be restarted or restart manually if the server didn’t restarted automatically. 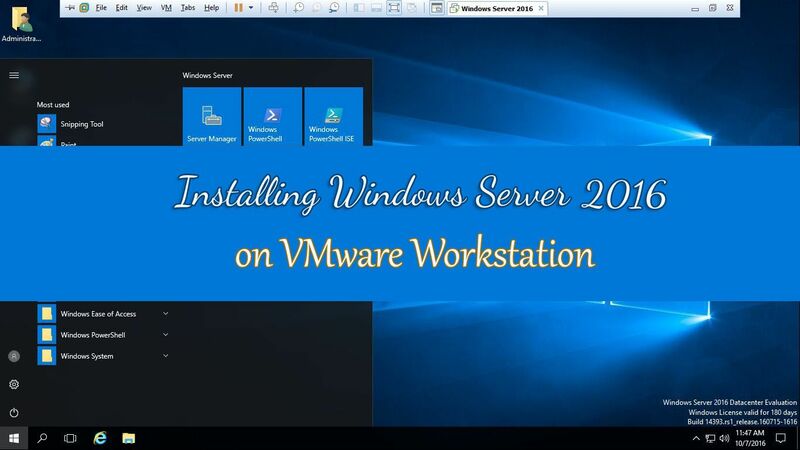 Consequently the new machine is domain controller in your domain. 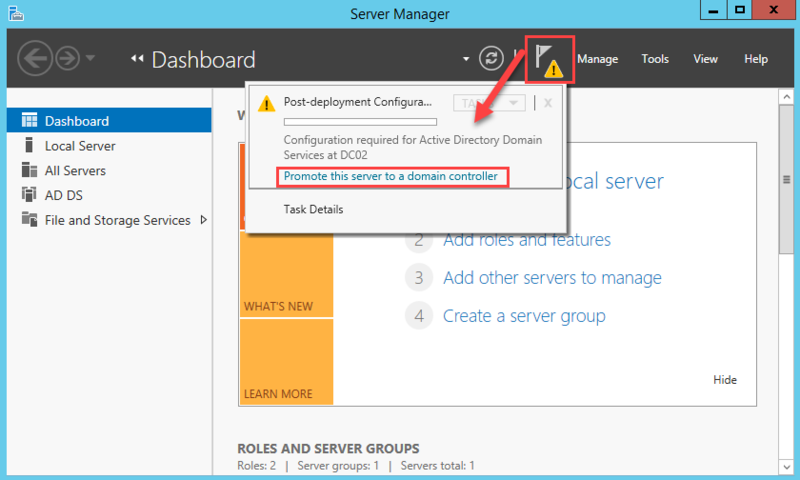 So log in to new domain controller, you’ll see the same contents as the previous domain controller. Active Directory snapshot is an easy and quick way than WAN link. If you used WAN link like internet, replication between two servers took long time. For any sort of question feel free and leave a comment. We will respond you as soon as possible.